Price per dive & person, valid for individual shore dives. 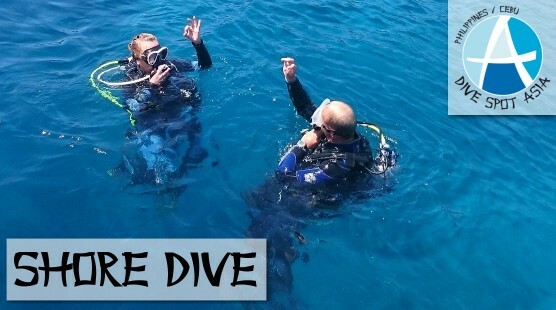 Pay only ₱600 per shore dive when also booking a Boat Dive Air Package of 10 or 15 Dives. Save even more by booking the Boat Dive Air Package of 20 Dives: each Shore Dive is only ₱300! The Shore Dives (900 ₱ per dive & person) take place at our house reef and are done without boat. There are no dive limits, however all known diving rules still apply. A guide can be booked additionally if needed.